Hunter paces are always a blast. Especially when your horse thinks he's part rocket ship. 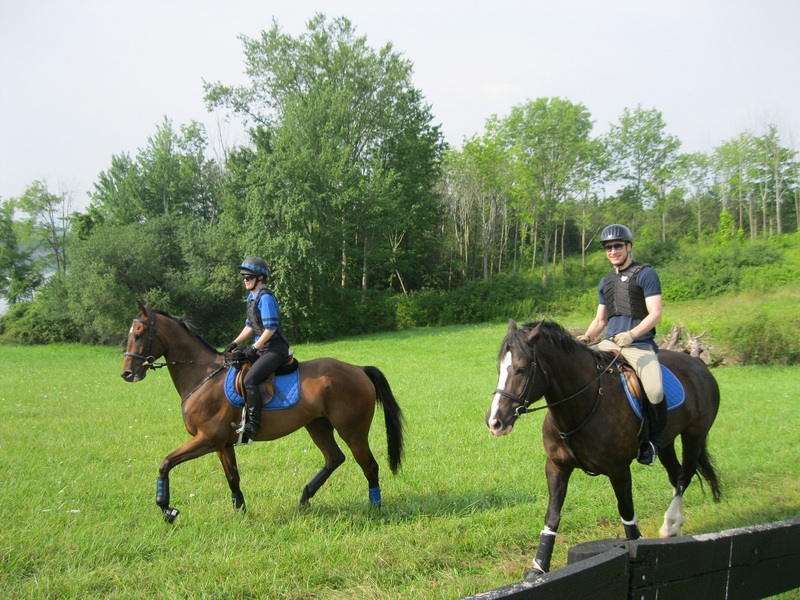 Zeus has only done one other hunter pace, which we completed last fall with gal pal Karen. It was all new to him, so he was just fine ambling along and taking in all the scenery. Now that he's a bit more savvy to the whole cross country thing, he takes great joy in leaping around like a gazelle because he's having so much fun. Today we had the pleasure of attending the Golden's Bridge Hounds North Country Pace, not too far away in Amenia, NY. New barn resident Snoopy (yup, still have to blog about him but he's pictured above!) was teamed up with Liutas. Don't they make a dashing pair? We especially liked how the man running the start timer popped out of the brush (literally) and made Zeus freak and catapult halfway across the trailer field - what a way to make an entrance! Other than that, the four of us had a great time traveling over open fields, pretty woods and past breathtaking scenery. Even better than that, our ride was good enough for a 5th place finish, in the largest division of the day! Snoopy and Zeus are congratulating each other in the barn and have already rolled in the muddiest spot in the field to celebrate. As they should - they were both magnificent. Rocket ship notwithstanding.